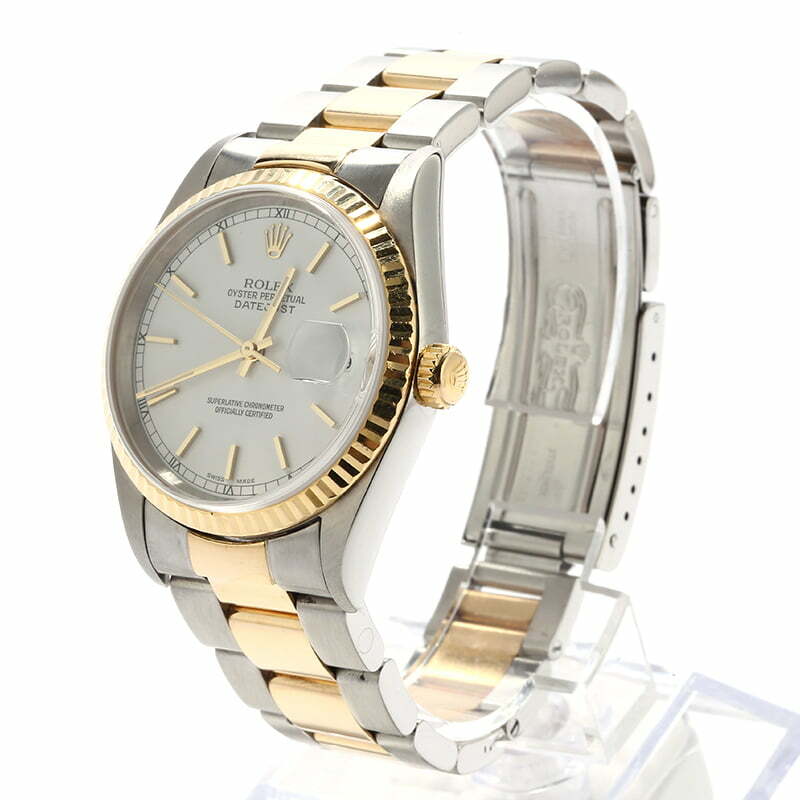 Comments: This pre-owned Rolex comes w/ Bob's 3-day satisfaction guarantee and one year warranty. 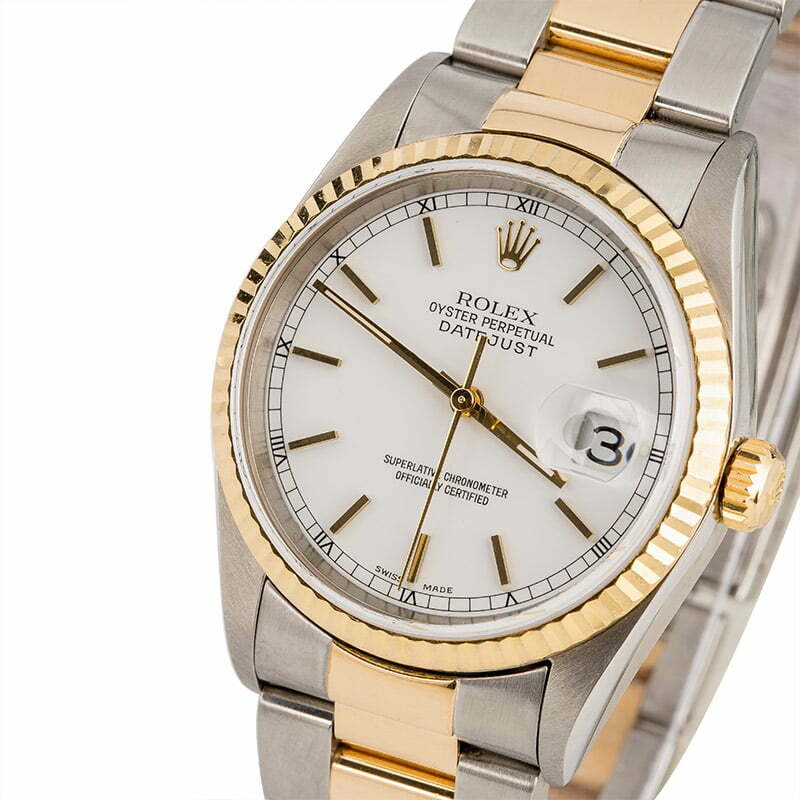 The two-tone Rolex 16233 Datejust is one of the most recognizable dress watches in the brand's line-up. 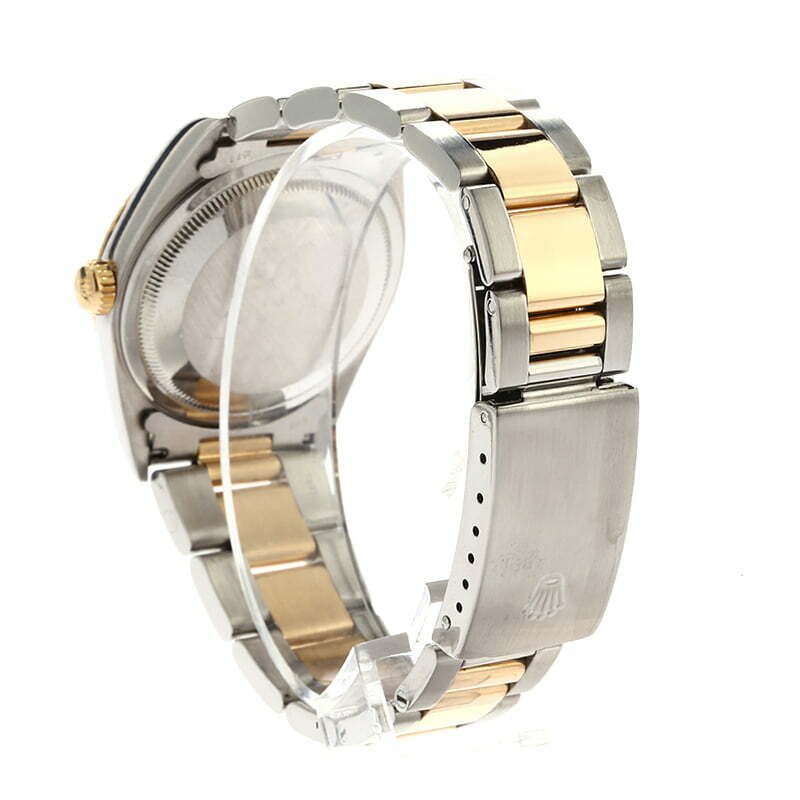 Its feature set often includes a 36mm Oyster case framed by a fluted bezel in yellow gold and worn on a either a five-link Jubilee or a three-link Oyster bracelet. 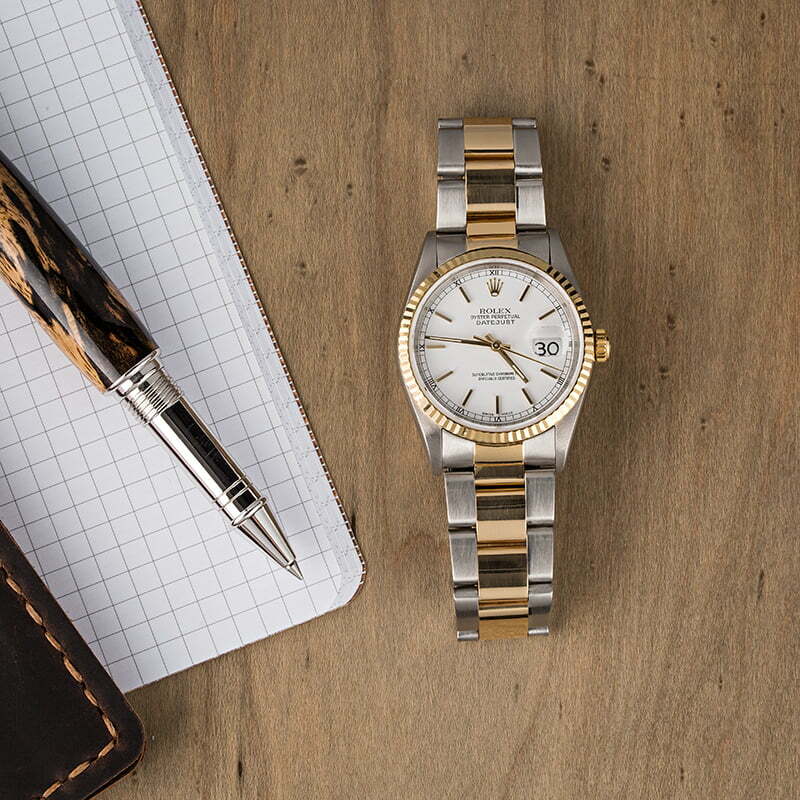 Yellow gold markers and hands on the dial often complement the steel and gold finish, and the jump date and Rolex logo are always present at the 3 and 12-hour markers. 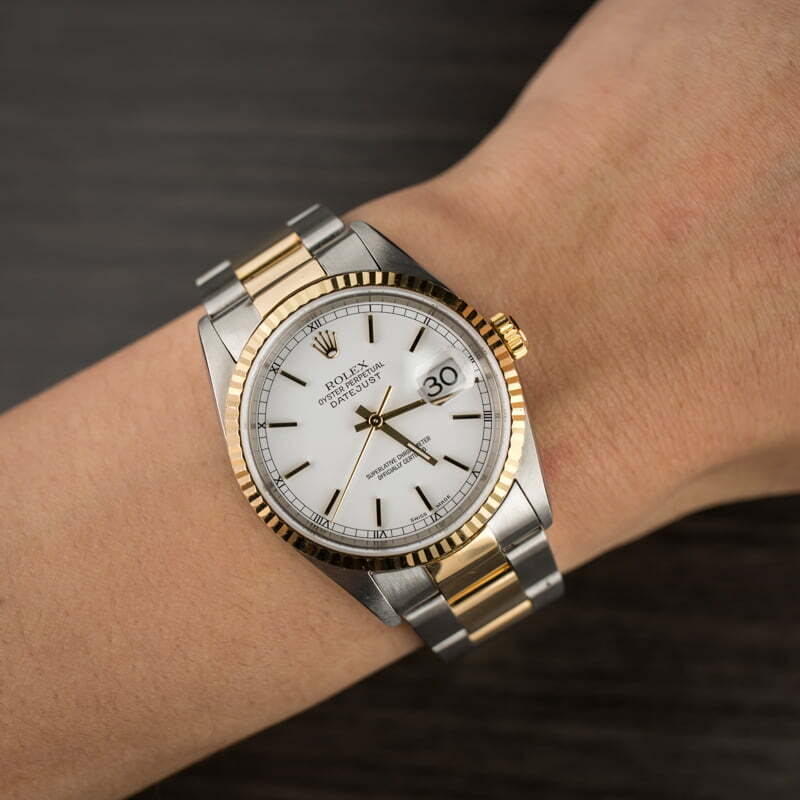 The preowned Rolex 16233 that is presented here today is a sleek variation of the Datejust, pairing the case with a flat-link Oyster bracelet and a white dial. The case is waterproof up to 100 meters, protecting the chronometer-rated movement within for a lifetime of reliable readings.